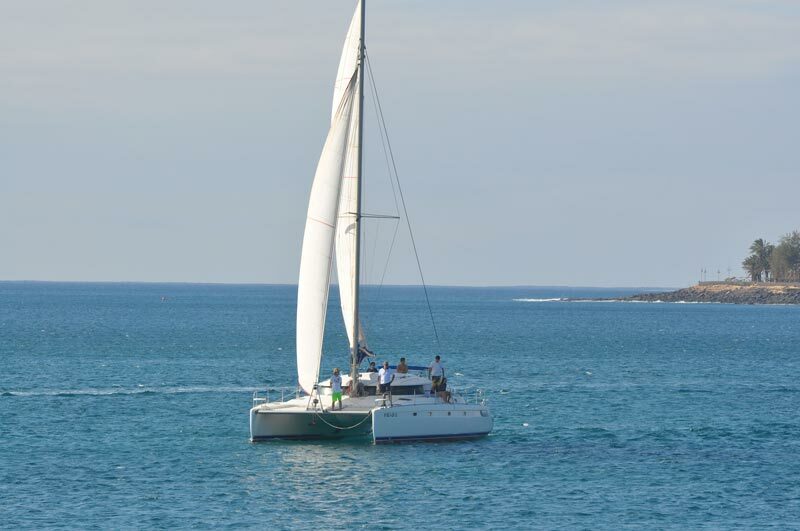 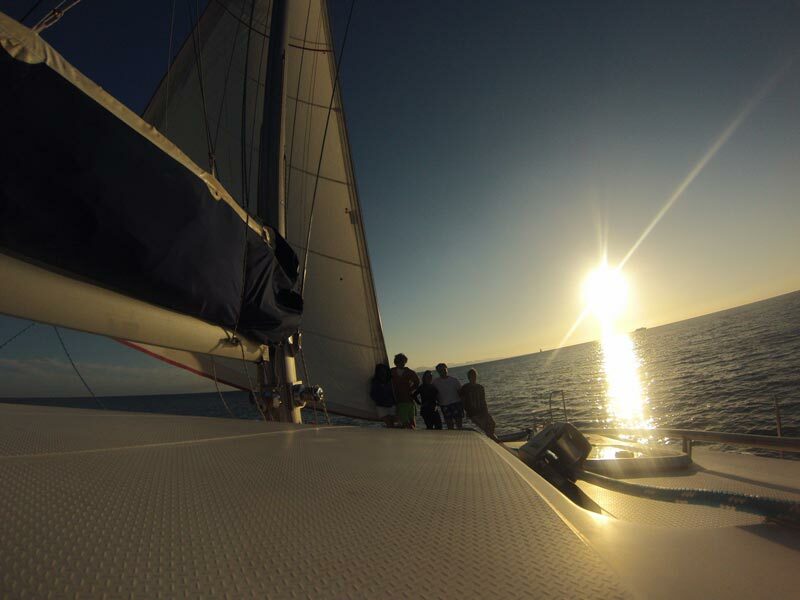 Catamaran rental sailboat with skipper and sailor in Lanzarote. 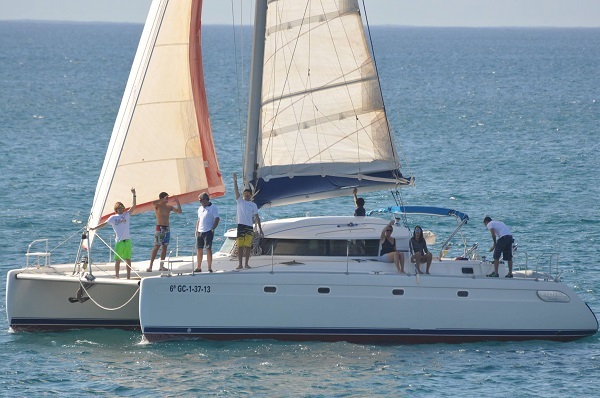 The Fountaine Pajot 41 has been hailed as the new reference in cruising catamarans with its innovative design, advanced technology and its easy navigation at sea. 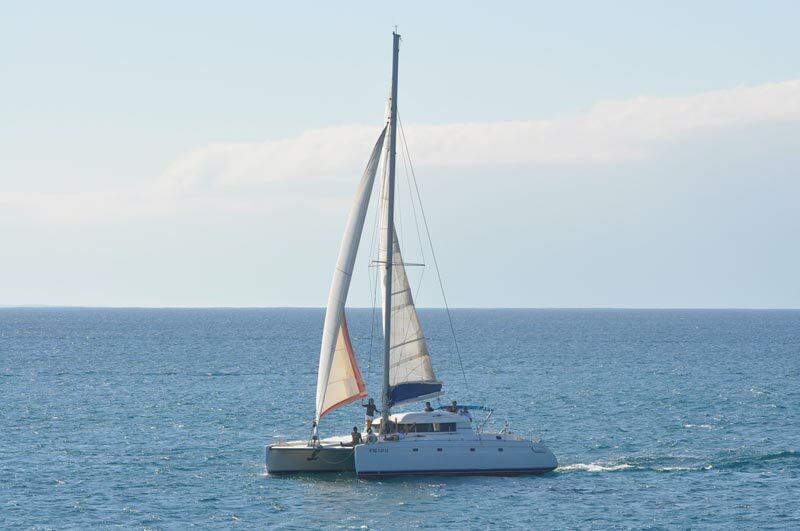 It has a very spacious and open living room with a generous semi-circular kitchen in the stern. 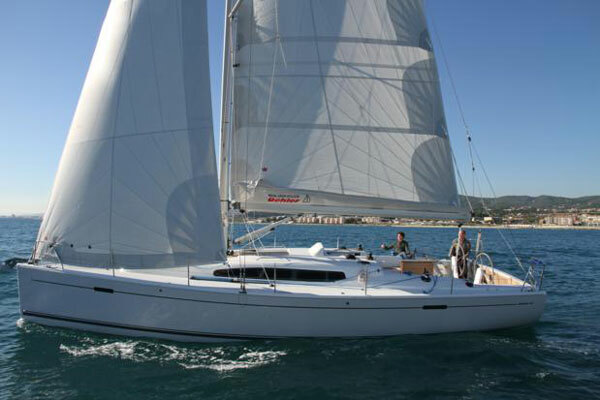 Terms of payment:: 50% upon booking; Remaining 50% four weeks before shipment. 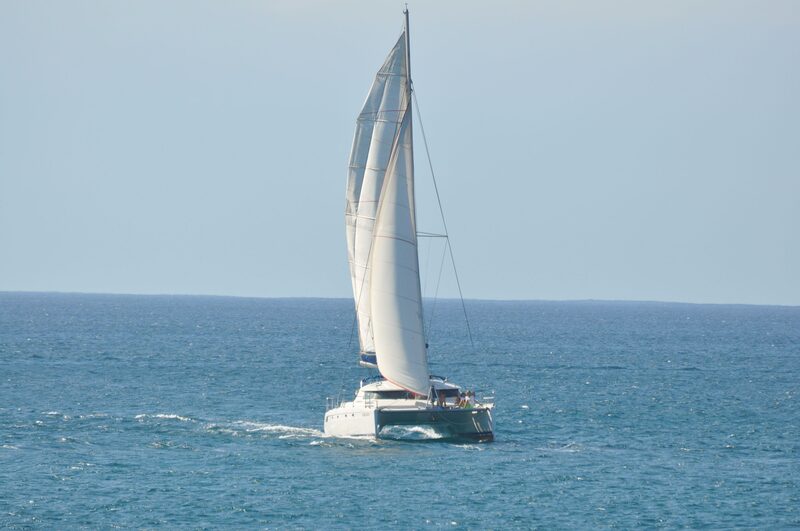 Rental only with a skipper. 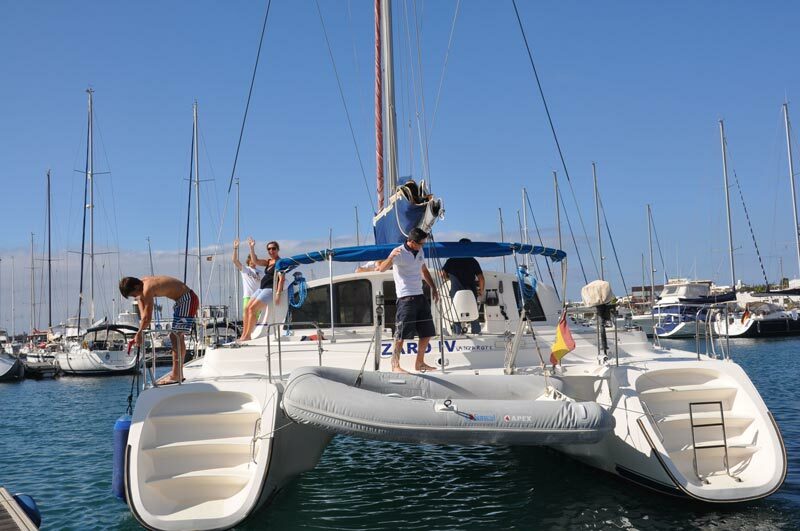 The catamaran Izaro IV, is the ideal boat to enjoy a day of sailing and mooring on the island of Lobos, just 6 miles from Lanzarote. 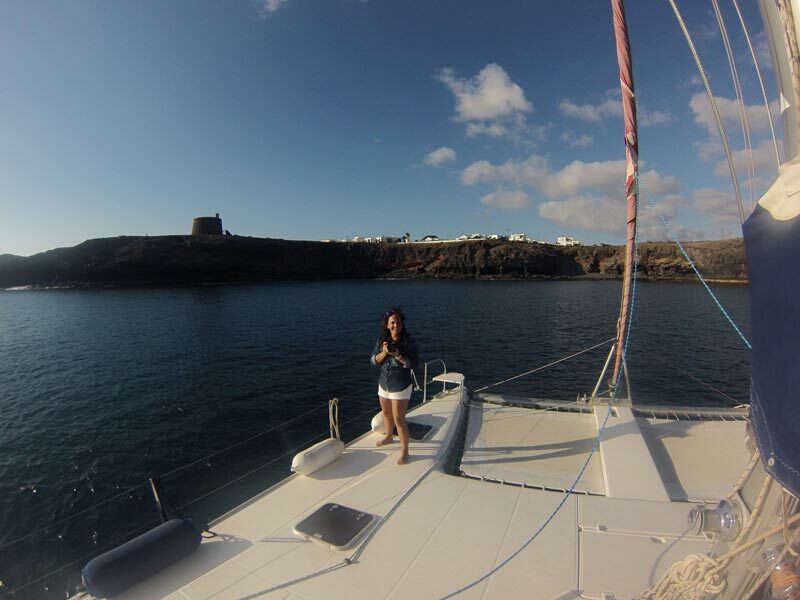 With your dinghy you can visit the island, and even eat in the famous beach of Antoñito the Lighthouse Keeper. 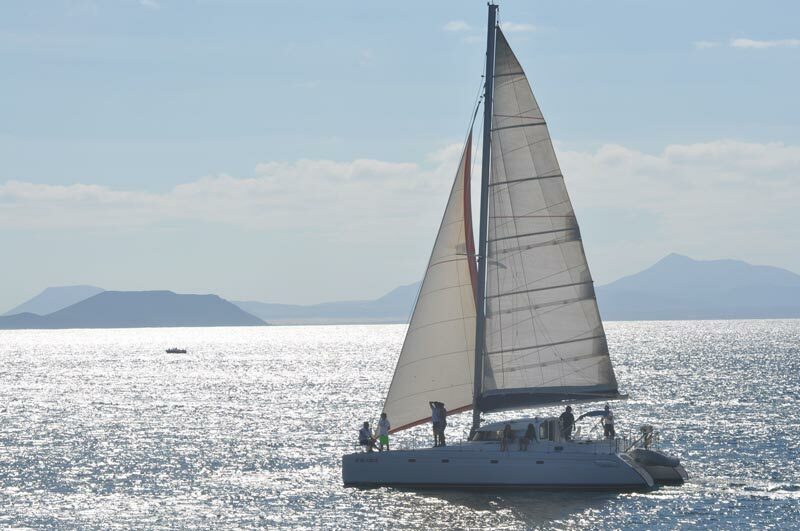 If you prefer something quieter, sail along the coast of Playa Blanca, up to the Pechiguera Lighthouse, and ship in the Papagayo beaches to eat, and enjoy bathing and snorkeling.